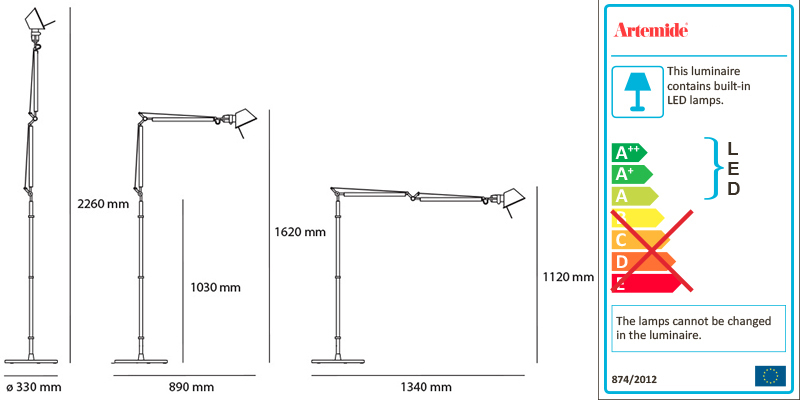 ARTEMIDE TOLOMEO FLOOR is a floor lamp. Integrated LED not replaceable, TW 2300/10000K, 14W (amber, white, blue), 450lm, CRI=80. Dimmer.